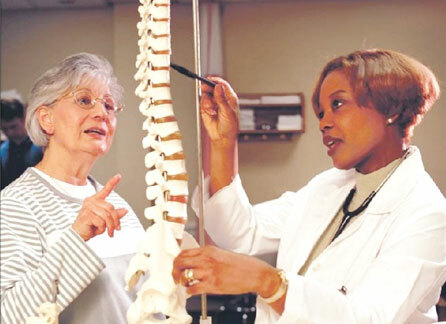 Our spine is one of the most integral parts of our body. It serves so many functions from literally keeping us upright to protecting the valuable and very fragile nervous system that controls much of our movement etc. This is why so many spinal injuries end up in serious consequences for people including paralysis. Unfortunately, you can’t take any chances when it comes to spinal injuries and most of the time you won’t want to because of the pain that sears through your entire body. Although, the spine is quite a sturdy creation, we tend to put a lot of strain on the vertebra through bad posture, heavy lifting and awkward stretches. The discs themselves keep the vertebra together while still allowing it to retain the movement that is needed for bending and accounting for pressure. The reason that your discs are also so important is because they protect the nerves from getting pinched and causing you extreme pain and disallowing movement. If you are older, you would fall into this category. As we age, the discs become weaker and more susceptible to breakage or movement through dehydration. This basically means that you are more at risk and back injuries should be taken more seriously to prevent permanent damage. Also, if you are someone who regularly participates in activities that put a lot of strain on your back and body in general, you should be aware of the potential dangers to your spine and are probably suffering from a disc or muscle injury in the event of major pain. Sometimes a disc injury won’t present any immediate symptoms but rather, a numbing pain in parts of the body. They can be hard to detect. Do I Need Disc Surgery and When Should I Get It? If you have a herniated disc, you will need surgery. This is when the disc actually swells and can also be very painful. There are two types of surgeries that can be applied to this. The first being traditional spinal surgery and the second being laser surgery. Another case where spinal surgery is necessary is when you have spinal stenosis which is when your spinal cord begins to contract and get thinner and thinner. This has repercussions for the nerves underneath which get pinched and numb areas of the body with extreme pain. If you start to experience symptoms of pain, numbness and immobility, it is important that you record these ailments in a little book for you to take to your doctor at a later stage. Spinal injuries are not something that you want to play around with because they can leave you in an immobile state for the rest of your life and the pain is often unbearable. If you are already finding it hard to move and you feel bruising, sharp pains or an injury that only hurts when you move in a specific way, you should definitely consult your doctor. Spinal surgery is a well-practiced and successful route for many though and could be the answer to your prolonged back problems.